Family Wins Suit for Autistic Son's Health Care A New Jersey family who went all the way to the state's highest court just won an important victory for their autistic son. Jake Micheletti takes part in the first day of school. Autism therapy helped transform Jake into a gregarious little boy, his parents say, but they wrongly assumed the treatment was covered by their health insurance. 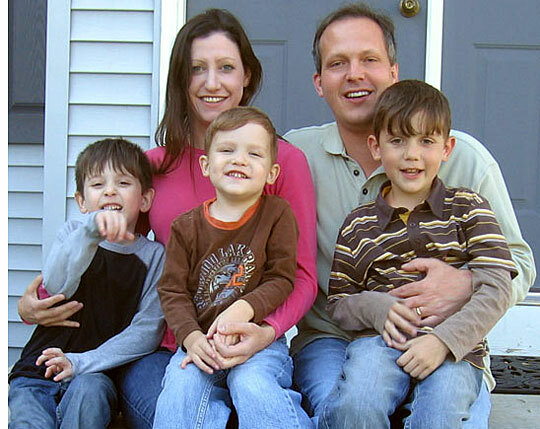 Jake with his two brothers Cole, 3, and Nickolas, 7, and his parents Elizabeth and Joe. Joe, an attorney, took his insurance company to court in order to get some of Jake's autism treatments covered. 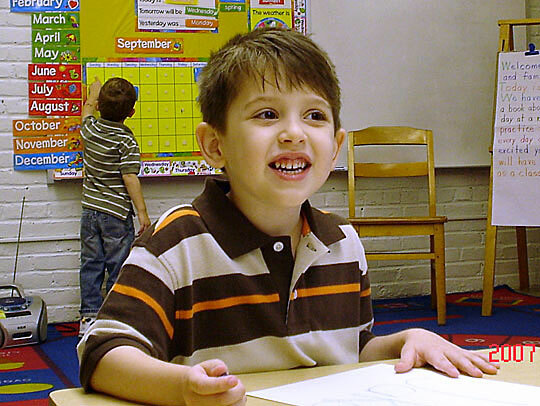 South Carolina recently began to allow increased coverage for autism therapies. Two years ago, Jacob Micheletti was diagnosed with autism. His parents say Applied Behavior Analysis (ABA) has transformed their son from a boy who was retreating into darkness into a precocious, gregarious kid. Jake's father, Joe Micheletti, who works for the state of New Jersey, assumed the family's insurance company would cover the treatment costs. They were not, which came as a shock, Micheletti said. So he took the case to the state's highest court — facing off with fellow co-workers along the way — and won. When autism therapist Kerrie Pawlikoski first met Jake, she says his language skills were limited. "He would say 'Hello,' and you might say 'What's your name,' and sometimes he would say 'Jake,'" Pawlikoski says of Jake's first days in treatment. "Sometimes he'd say 'What's your name, Jake.' So, you know, a lot of repeating what the other person said." Pawlikoski runs Child's Play, a therapy center in Branchburg, N.J. During the school year, Jake spends 5 1/2 hours a week working with her and therapist Daniella Simon. They work with Jake on skills he can only learn through intense repetition. Among other things, they spend hours practicing how to answer a question with an appropriate answer. But despite the potential of the treatment, the insurance company said they would not cover the costs. "What they said when they rejected me was that treatment was not restorative. It didn't restore a previously existing function," Micheletti says. "Jake was three and a half. He had never spoken before. [The insurance company thought], 'Why should we give him verbal behavior therapy to make him speak now.'" The insurance company may not have known who they were tangling with. Micheletti is a deputy in the state attorney general's office. If he was to sue the state health plan, he knew he would have to fight his own boss in court. "The office was very mixed. There are people there who have worked with me for a long time — career deputies — who were very supportive," Micheletti says. "There were administration officials who were not that supportive. They did not appreciate one of their own challenging them." Micheletti lives with his wife and three kids in Milford, N.J., about an hour away from his Trenton office. Elizabeth Micheletti, Jake's mother, is a stay-at-home mom who used to work as an attorney, too. When the family decided to launch the lawsuit, the couple turned into a crack legal team, and their writing styles and legal approaches meshed. "Joe is so good with strategy, but I don't think he's as eloquent as I am," Elizabeth says, laughing. The case dragged on. Even after the family won in the lower courts, the insurance company refused to pay. So before the New Jersey Supreme Court, Micheletti argued against one of his colleagues in the AG's office. The court's justices were clearly peeved that the state-run insurance system continued to refuse to pay for Jake's therapy, even after a mandate from a lower court. Assistant Attorney General Lewis A. Scheindlin told the court that the insurers just wanted to ensure that the therapy was legitimate. "[That concern] is consistent with this general practice of checking who is providing therapies," Scheindlin told the court. "Give us your therapy notes, so we can check the patient's progress, [and] we can ensure that appropriate utilization and medical services is being provided." When a decision came down earlier in September, the state Supreme Court ruled in favor of the Michelettis. The judges ordered the insurance company to pay in full for all of Jake's therapy. Many insurance companies say they will not cover ABA because they view it as experimental and unproven. The New Jersey State Health Benefits Commission declined to speak to NPR. NPR contacted a number of private insurance companies, such as CIGNA and AETNA. Those companies declined to be interviewed, but they did send regulations that state that they won't cover therapies considered experimental — including ABA. Pamela Greenberg of the Association for Behavioral Health and Wellness says there just is not enough data on the effectiveness of ABA therapy. "Yes, there are examples of where ABA has been very effective. And there are other examples of situations where it has been very harmful," Greenberg says. "Coverage decisions need to be made based on the best possible medical evidence and not just on the experience of a few cases." The Michelettis' victory comes as parents of autistic children across the country are pushing for better coverage of this disorder. But better coverage for some families may mean higher premiums for everyone. That presents a dilemma for insurance companies, according to Mohit Ghose of America's Health Insurance Plans. "The question then becomes: do you provide that through the healthcare setting, or do you provide that through the educational setting as many states have traditionally done?" Ghose says. South Carolina and Texas have passed laws this year requiring some insurers to cover autism therapy, and the Pennsylvania House recently passed its own bill. When South Carolina's governor tried to veto his state's bill, he said one reason was that it would raise premiums by an estimated $48 a year. That veto was overturned. There's currently a bill before the New Jersey legislature that would mandate coverage for ABA. A state analysis concluded the bill would raise premium costs by less than 0.5 percent. Joe and Elizabeth Micheletti are overjoyed watching Jake play with his siblings. A year ago, they say, Jake largely ignored his brothers. Even though this affectionate five-year-old is making great progress, he still gets confused about how to phrase a question. "What you can hug mommy," Jake asks his mother Elizabeth. She quickly corrects him, "When can you hug mommy." Like a lot of parents, the Michelettis desperately want Jake to succeed, not simply to get by. The Michelettis felt like they got adequate services from their school system. Jake has an aide in his kindergarten class. But their neurologist says Jacob would benefit from more intensive therapy. Elizabeth says her son has a right to thrive. "The standard for a school to teach autistic children is ... that they are making some progress," she says. "So their goal is not to recover or cure your child. Their goal is to show some educational progress." "And schools are not medical professionals," Jake's father adds. "They are not doctors; they are not there to cure your child." Therapists concede that some children won't flourish the way Jacob has — no matter how much therapy they get. So while the Michelettis' adventure is dramatic, it doesn't answer the toughest questions: What are these children entitled to? How much therapy should they get? And who should pay?